WASHINGTON (CNS) — If Christians in the Middle East are going to be “honest” with their Muslim dialogue partners, said Chaldean Archbishop Bashar Warda of Irbil, Iraq, Muslims will have to acknowledge that the persecution of Christians in the region did not start with the Islamic State’s rise to power in 2014. 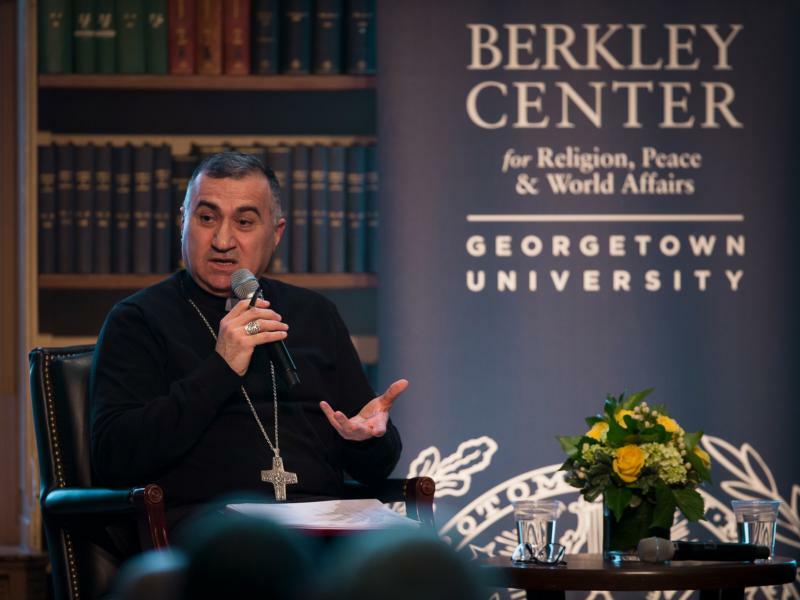 “We experienced this not for the last four years, but 1,400 years,” Archbishop Warda said during a Feb. 15 speech at Georgetown University in Washington, sponsored by the Religious Freedom Research Project of the university’s Berkley Center for Religion, Peace & World Affairs. He said the typical Muslim response to Islamic State’s atrocities — declared genocide by the U.S. Department of State in 2016 — falls along the line of “ISIS does not represent Islam,” but rarely goes further, with no acknowledgment of past mistreatment of Christians or an expression of remorse for them. The wait for reconstruction money continues. Archbishop Warda said the money is needed now, but governments just continue to “talk” rather than distribute funds. He took note of a March 14-15 conference in the region sponsored by the U.S. Agency for International Development. “They will probably just talk more” then, he added. “Maybe by late 2020” will the region finally see the promised funds, he guessed aloud.